Commercial growers choice. 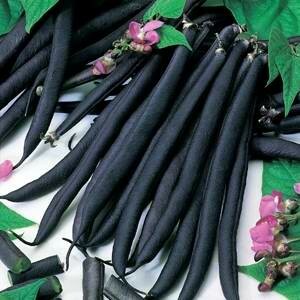 Grows vigorous 1.5m-high plants that produce thick, fleshy pods up to 30cm long. Also available in a Bulk Pack. Grows vigorous 1.5m high plants that produce thick, fleshy pods up to 30cm long. A tasty and prolific bean making any garden look good. This is a taller growing variety which will benefit from some form of support or staking. The 'Hughey' produces attractive green seeds that will stay green when cooked. 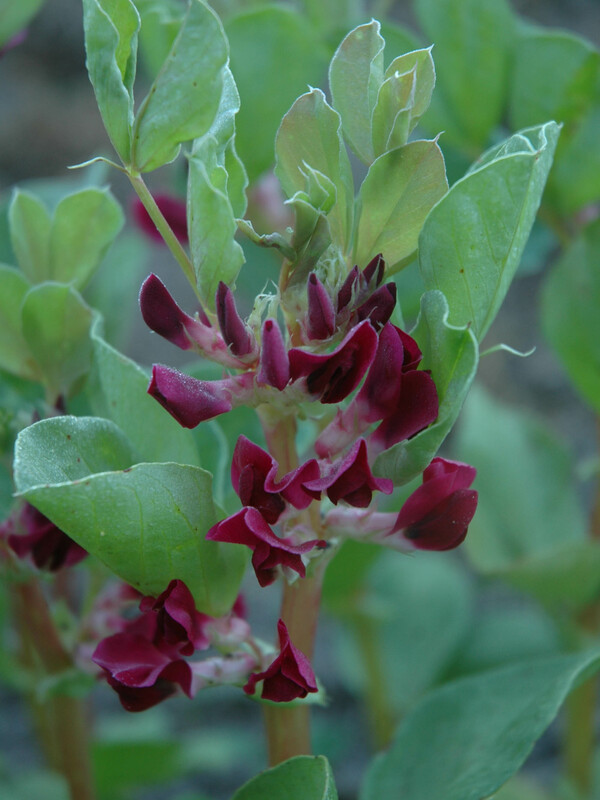 The Crimson flowered broad bean is back! A bulk packet of the crimson flowered broad bean. Imperial Green plants reach approximately 1.3 metres in height, with maturity between 90-120 days. 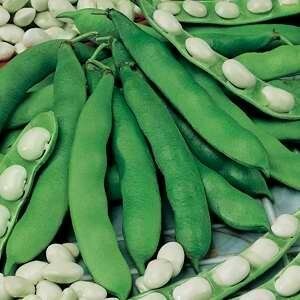 Beans retain their attractive bright green colour when cooked. Imperial Green plants reach approximately 1.3 metres in height, with maturity between 90-120 days. 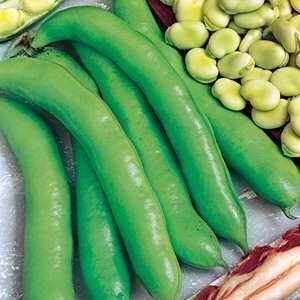 Beans retain their attractive bright green colour when cooked. Grows vigorous 1.5m-high plants that produce thick, fleshy pods up to 30cm long. 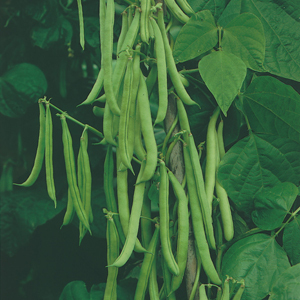 Climbing beans produce more beans per plant than dwarf varieties. 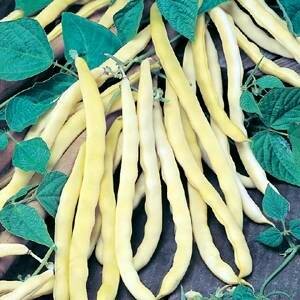 These prolific plants produce flattish pods of light yellow butter beans. Keep well picked to prolong productivity. Water well in dry periods. Best grown up a trellis or some kind offence/support. Exceptional flavour and a long growing season. 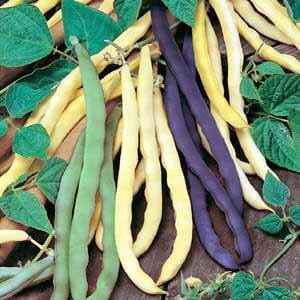 Brighten up the platter with purple, green and yellow beans. Prolific yields. Best grown up a trellis or some kind of fence/support. Robust vines and a prolific producer of rich, dark-purple beans. Pods grow to 20cm long but are at their best when picked a little earlier. The old fashion tasting beans will turn green when cooked. Best grown up a trellis or some kind offence/support.